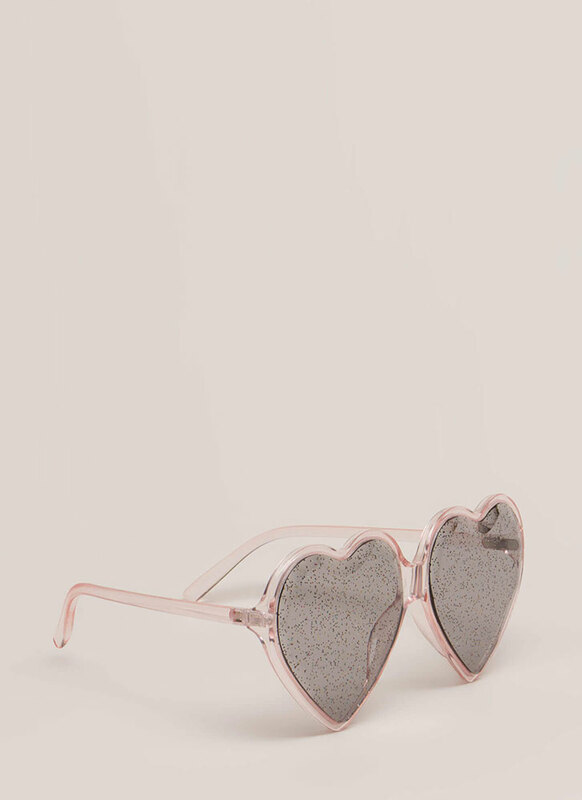 We totally have heart eyes for these sunnies. 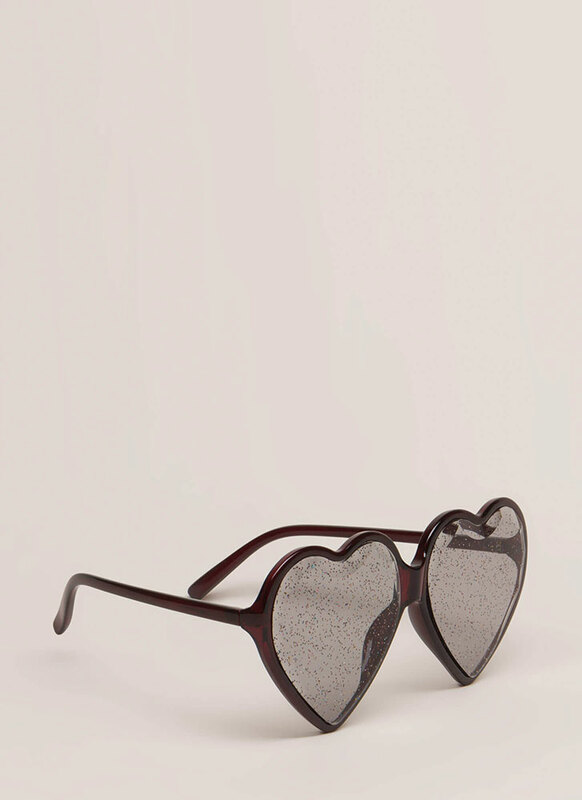 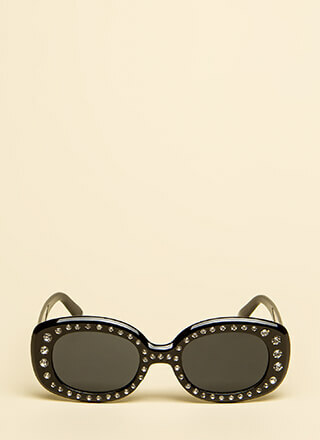 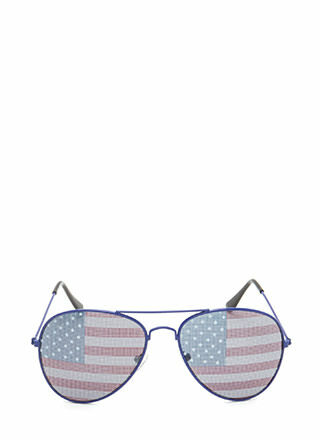 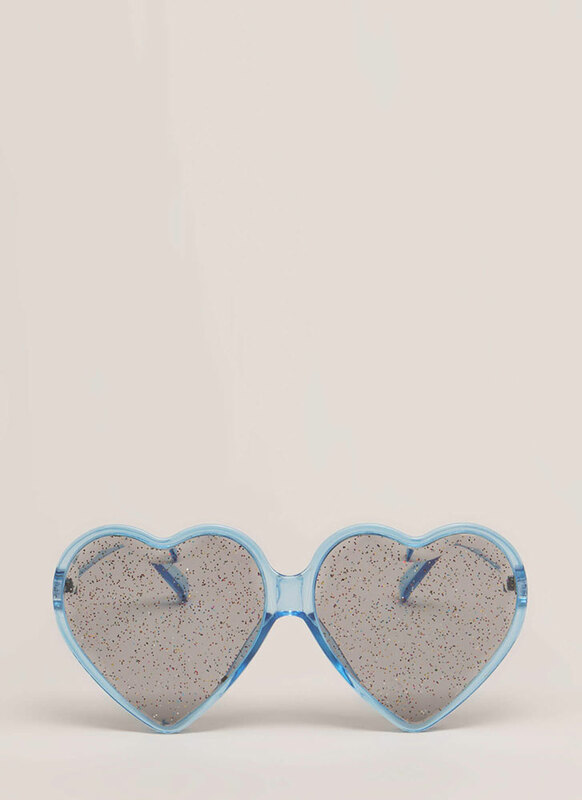 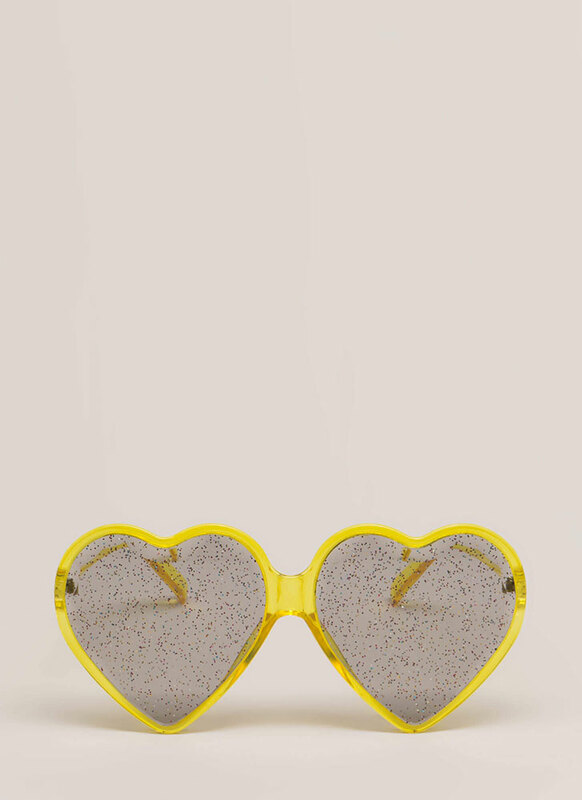 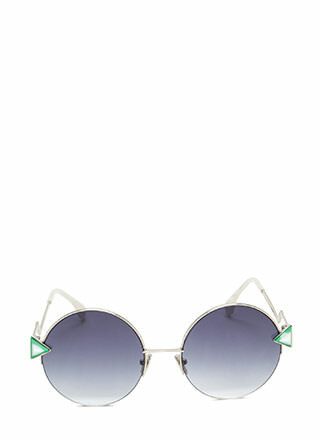 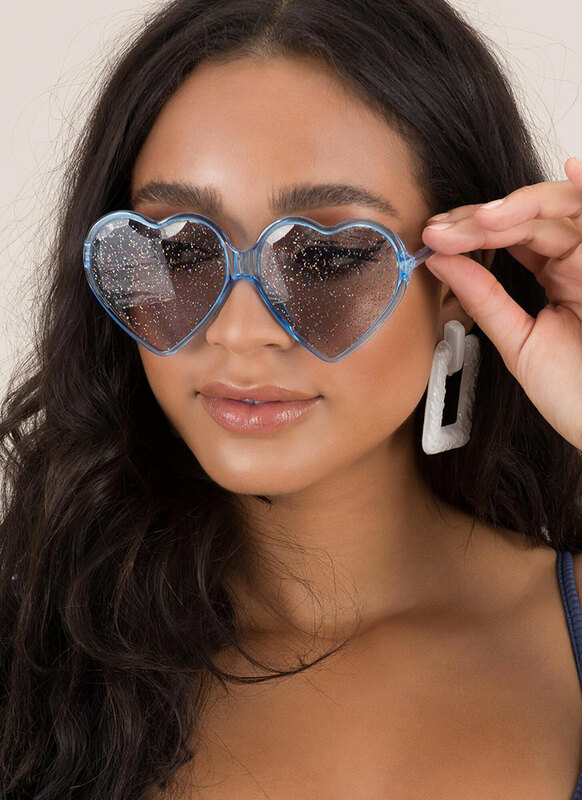 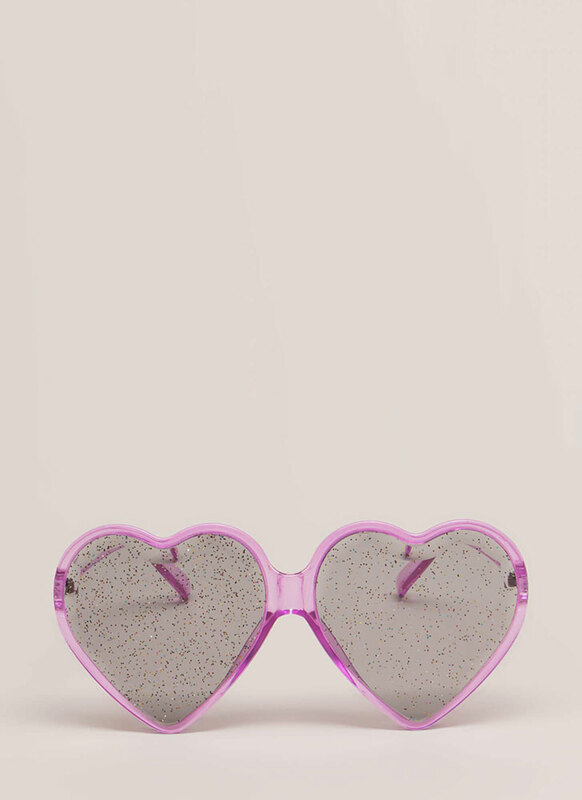 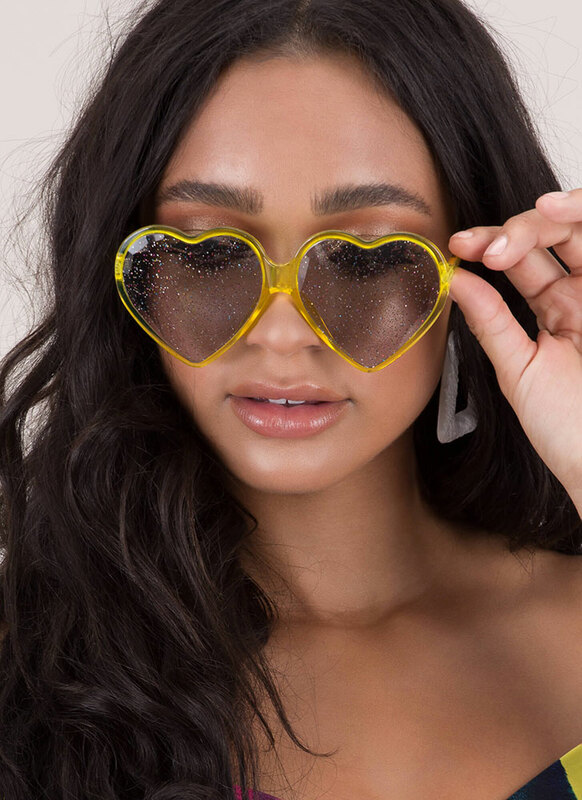 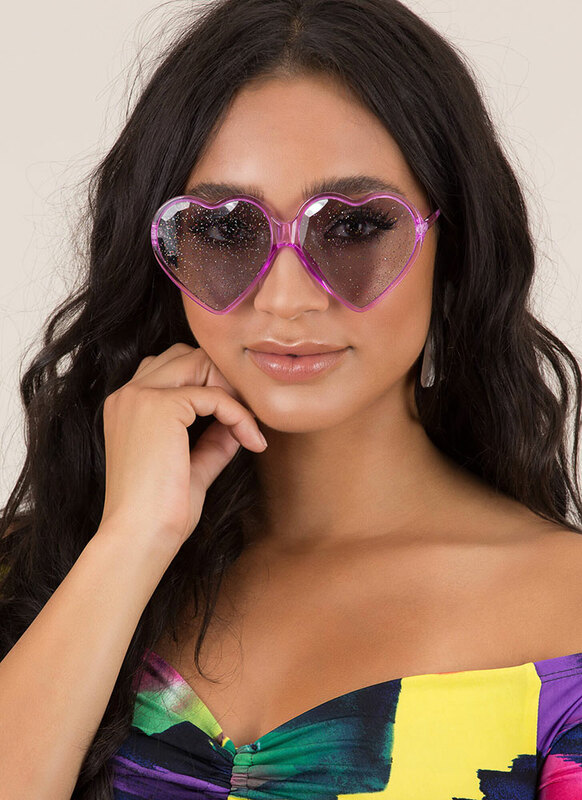 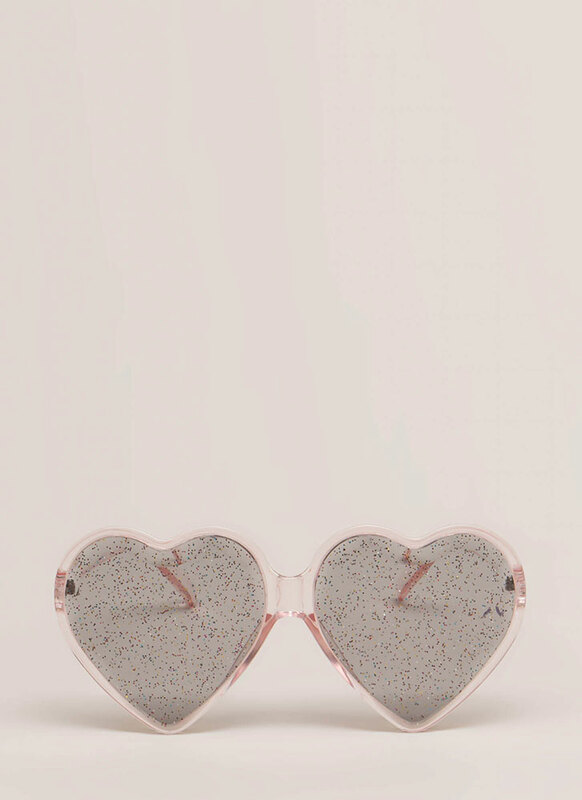 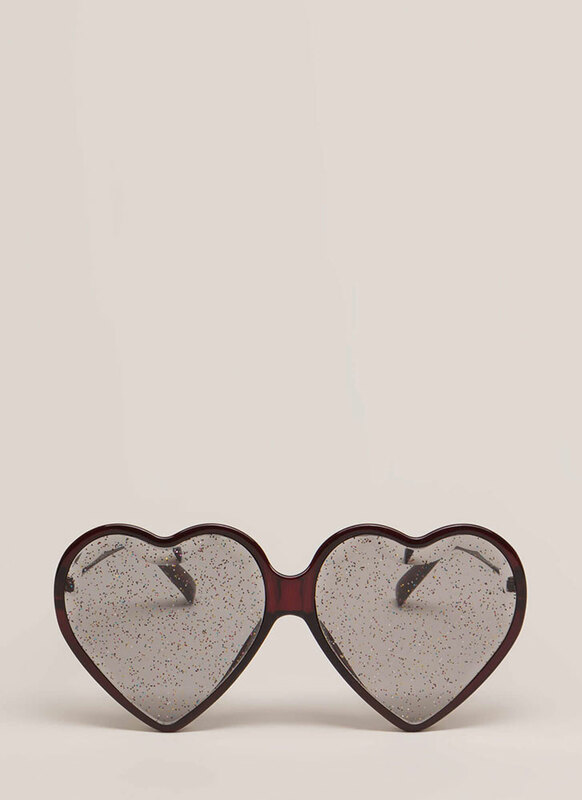 Oversized heart-shaped sunglasses feature a thin resin frame and glittery lenses. 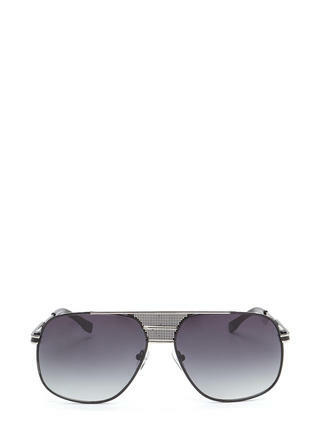 Height of frame: 2.75", Width: 5.75"
Height of lens: 2.5", Width: 2.5"